Located on the third floor, the Lighthouse Suite is one of the most spacious accommodations in the Agassiz Mansion. 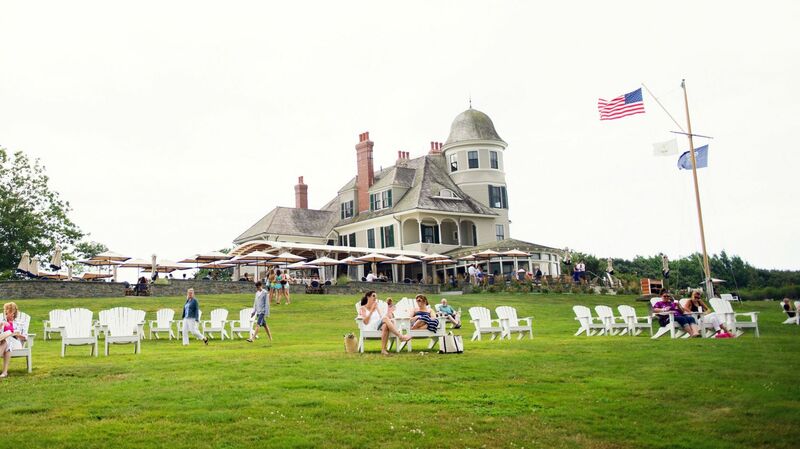 It offers distant ocean views and limited views of the East Passage and the Narragansett Bay. The Lighthouse Suite offers a bedroom and sitting area, separated by French doors. The bedroom boasts a king size bed, a gas jet fireplace, and an oversized soaking tub overlooking the grounds. The sitting area features a queen size pull-out sofa, circular table with four chairs, and an additional television. In the bathroom, enjoy a spa experience in a glass and marble stand up steam shower. Approximately 560 square feet; accommodates four guests.